Groundwater risk assessments are required to assess risks to Controlled Waters (surface water courses, groundwater and/or abstractions) under the Groundwater Regulations (1998) and the Environmental Protection Act (1990) Part 2A. Where source contamination is located on a site and potentially represents a risk to a water course or an aquifer, a groundwater risk assessment is required as a condition of planning or for the assessment of liabilities associated with site ownership or acquisition. GEG routinely use the EA Remedial Targets Methodology (RTM): Hydrogeological Risk Assessment for Land Contamination software model which was developed by the Environment Agency in 2006 and is the industry standard methodology for derivation of soil and groundwater remediation targets. The RTM uses a tiered approach to assess the risk on the basis of the data available and the validity of the proposed conceptual model. TIER 1 considers whether the concentration of contaminants dissolved in the soil pore water is sufficient to impact on the receptor, ignoring dilution, dispersion and attenuation along the pathway. TIER 2 assumes that contaminants may undergo some dilution prior to reaching the compliance point. TIER 3 takes account of the potential attenuation as contaminants move off-site to the receptor. GEG also use other software such as CONSIM (a probabilistic model determining potential contaminant migration), RBCA and RISC (often used for modelling volatilization of hydrocarbons from groundwater). 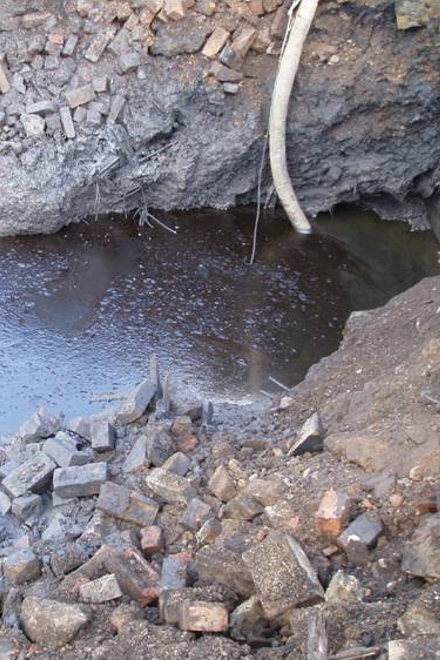 GEG have successfully demonstrated to the Environment Agency on many occasions that risks associated with soil contamination sources or residual groundwater contamination are acceptable, mitigating the need for costly groundwater remediation. GEG consider that the key to successful resolution of groundwater contamination issues and the subsequent discharge of the respective planning condition lies in detailed site conceptualisation, thorough investigation, sufficient groundwater sampling and chemical analysis, appropriate risk assessment and close liaison with the Environment Agency. Our reports are designed to be consistently clear and concise in accordance with guidance from CLR11, which allows rapid review from the regulators.